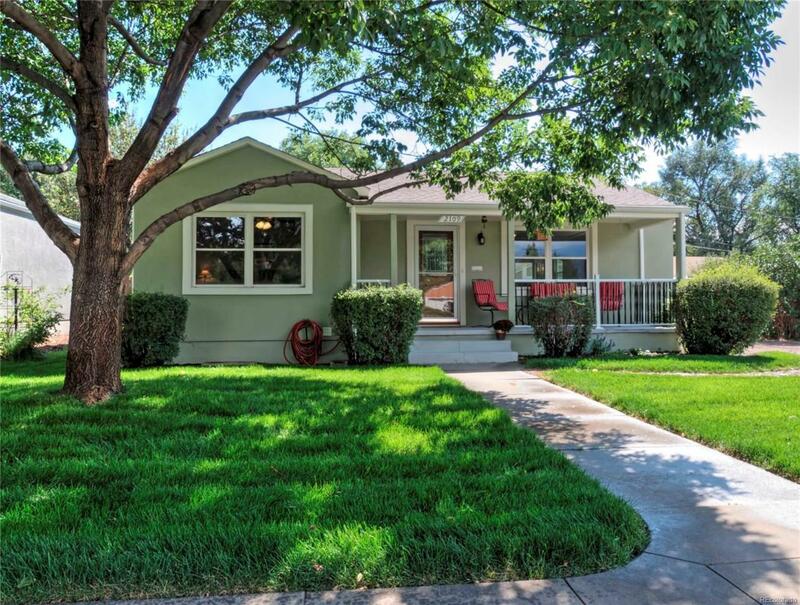 This ranch style home is just north of Patty Jewett & is situated on a wide street with mature trees, just steps away from Bonfort Park, Bon Shopping Center, Stir, & Good Neighbor Meeting House. Property has 3 bedrooms, 1 bath, 1 car detached garage, & an oversized 9,000 sq ft lot with alley access & room to store a RV /Boat. Enjoy the covered front porch with stunning Pikes Peak views. Updates in the kitchen include appliances, granite sink, hardware, fixtures, tiles backsplash, tile flooring & countertops. Property has stucco exterior, private backyard with large concrete patio, portico, built-in fire pit, automatic sprinkler system, lush greens, & fully fenced in backyard. Main level living with wood floors in living/dining room & bedrooms. Modern updates with some original 50's charm to include- built-ins, coved ceilings, nooks, built-in desk & dresser drawers.